In order to indicate that a specific class is supposed to be validated at the method level it needs to be annotated with @Validated annotation at type level. Methods applicable for validation must have JSR-303 constraint annotations on their parameters and/or on their return values. Beans annotated with @Validated annotation will be detected by MethodValidationPostProcessor and validation functionality is delegated to JSR 303 provider. When the validation fails ConstraintViolationException, with a set of constraint violations, is thrown. To visualize that let’s create a Unit Test. The context of the test is configured using MethodValidationPostProcessor. This is a must-have configuration in order to trigger method-level validation. The expected exception is verified with AssertJ. Note: If you want to learn how to verify exceptions in JUnit tests with AssertJ have a look at JUnit: Testing Exceptions with Java 8 and AssertJ. Of course, I could be more specific with the assertions, but the tests are here only to visualize the validation. 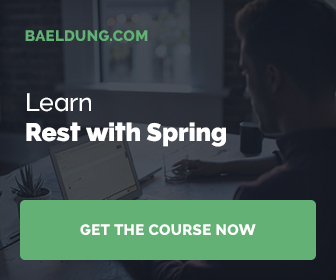 With just couple lines of code you may start with method-level validation in Spring. But there is one pending question: “Do we want to utilize method-level validation in production code?”. What’s your opinion? You have started this blog exactly an year ago. Thanks for the article, I think if we use this validation we'll have a robust code.